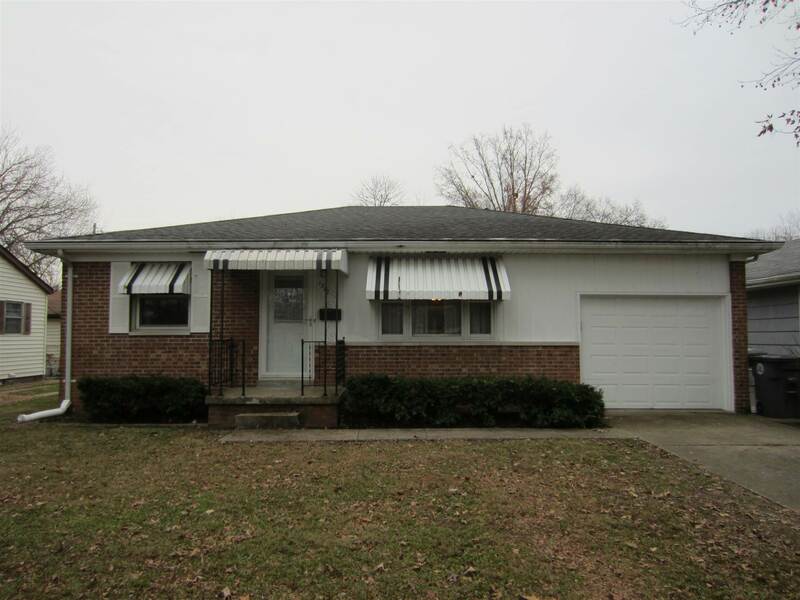 Move right in to this cute, all brick ranch with 2 or 3 Bedrooms, 1 ½ Baths, Attached Garage, Newer Windows, and Completely fenced yard with covered patio in a convenient east-side neighborhood close to shopping, schools, and restaurants! The spacious Living Room has a newer front door and large window for plenty of natural light. The Kitchen has oak cabinets, space for a table in front of the peninsula, and all appliances are included. The Master Bedroom has a private ½ Bath. The 3rd Bedroom is currently used as an office and has no closet, but the armoire is included in the sale. The Hall Bath has a tub/shower combo, ceramic tile flooring, and newer commode. The Attached Garage is off the Kitchen and has attic access, newer Garage Door with handy keypad to open, shelving, and a service door. You can enjoy the completely fenced backyard while relaxing on the covered patio. Sale includes: Refrigerator, Dishwasher, Gas Range, Microwave, Washer, Dryer, all Blinds. Possession at closing!